Fattorie Melini is the top range of Tuscan wines from Melini, Chianti's historic estate since 1705. The Fattorie line uses only 100% estate-grown grapes from Chianti Classico's most renowned vineyards, creating Italy's benchmark wines, like the revolutionary "La Selvanella". 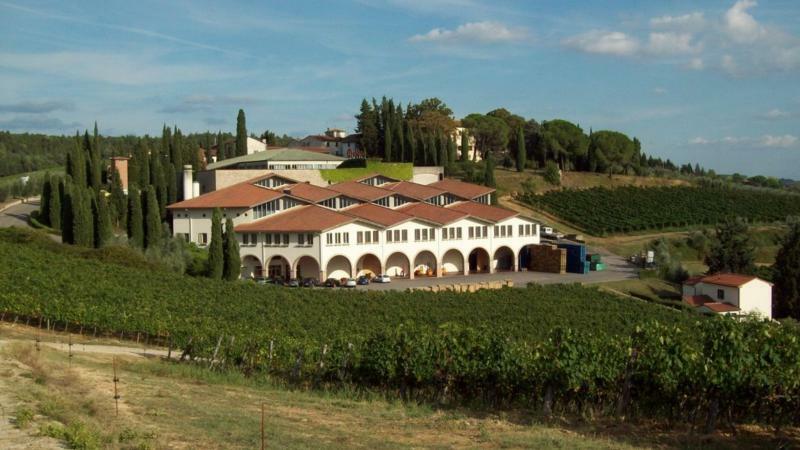 The estate holdings are divided into four individual fattorie that represent an exclusive patrimony of choice vineyards (403 acres) in Radda, Castellina, Gaggiano and San Casciano. Here, the noble Sangiovese Grosso clone is planted on sunny, hillside vineyards situated at up to 1,800 feet where a moderate, continental climate along with galestro (a loose marl-like schist soil) and albarese (weathered sandstone from sedimentary compact rocks), soils create perfect growing conditions where the fickle Sangiovese achieves maximum ripeness and aromatic complexity. Piedmont-born Marco Galeazzo runs the winemaking, a role inherited from longtime, esteemed oenologist Nunzio Capurso. The winery, located in Gaggiano di Poggibonsi, sits carved out of a 1,000-foot hillside; benefitting from this design, multi-stage fermenters accomplish the progressive phases of vinification by gravity rather than forced pumping. Old Limousin casks rather than the more common Slavonian are used for aging the top quality wines. Wine Spectator 89"Sweet spice, licorice and cherry flavors are supported by a dense underlying structure. Still, this remains on the elegant side, showing good balance and length. Drink now through 2020."~B.S. Decanter 95 "Masculine and generous with forest fruit aromas. Rustic with flavors of leather and wild game and gripping tannins. Plump and intense, this has great texture and spice on the finish. It is textbook Sangiovese -complex yet elegant. Masses of ripe berry fruit and strong spicy notes. Robert Parker 88 "The estate’s single-vineyards 2003 Chianti Classico La Selvanella Spent a whopping 30 months in French oak, something that is rarely seen these days. Dark, brooding aromas of smoke, tar, scorched earth, black cherries, leather and spices flow from this rich, large-scaled wine.